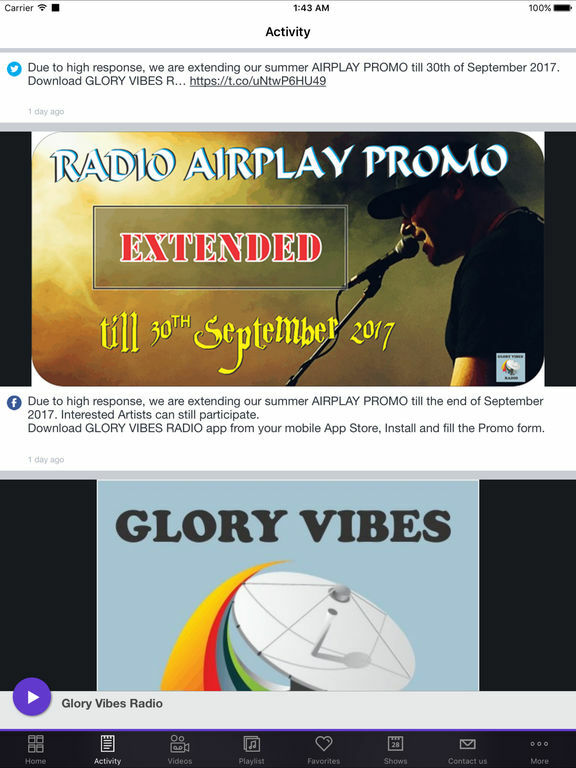 At Glory Vibes Radio station, we aim to provide the very best radio experience to both listeners and advertisers. 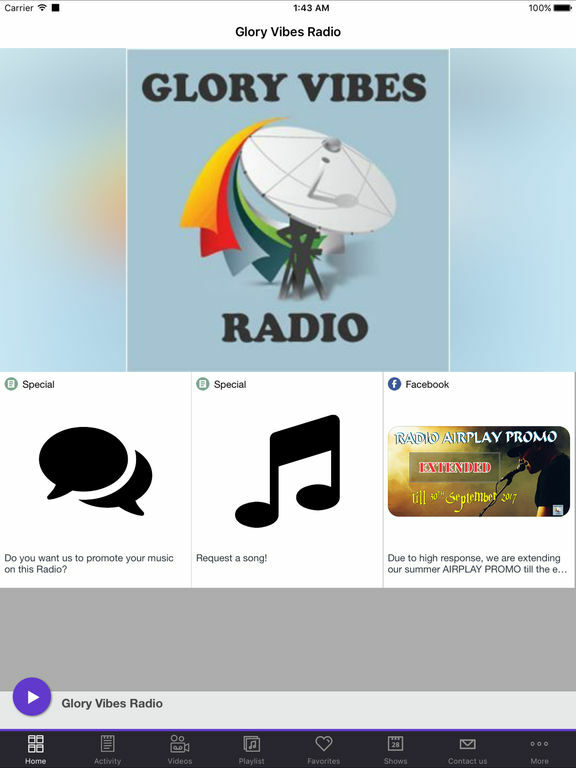 We offer a variety of Programmes like Music, Worship Programmes, Local and National News, Public Affairs, Educational and Entertainment. 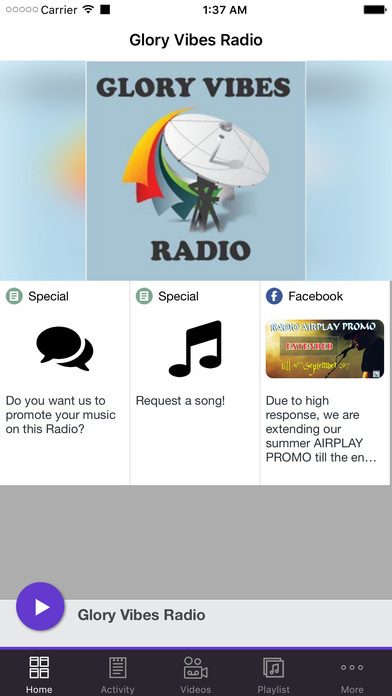 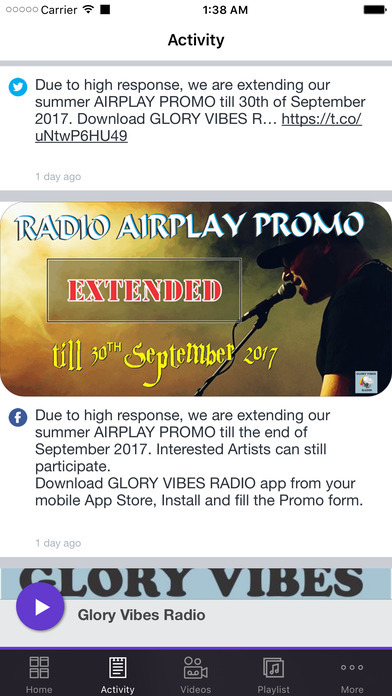 This application is the official, exclusive application for Glory Vibes Radio under an agreement between Glory Vibes Radio and Nobex Technologies.